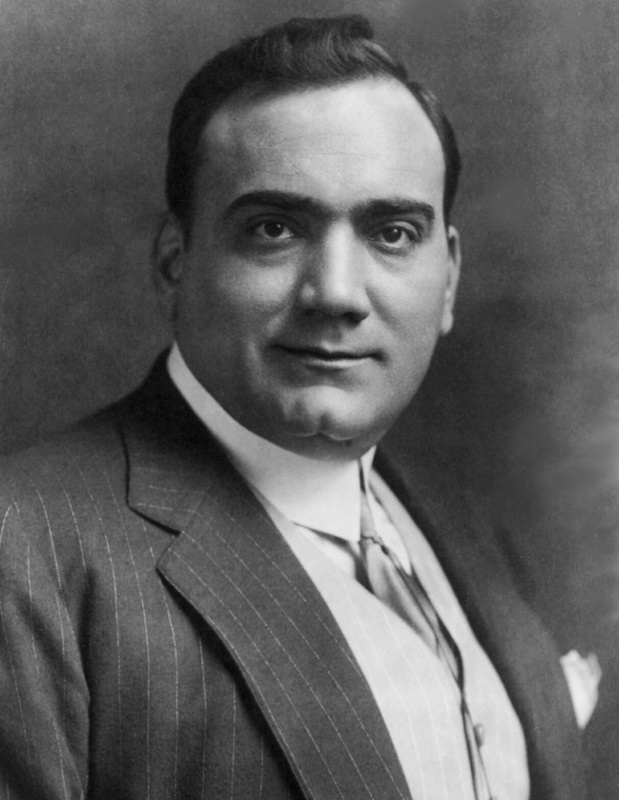 Operatic tenor Enrico Caruso was born on this day in 1873 in Naples. Believed by many opera experts to be the greatest tenor of all time, Caruso had a brilliant 25-year singing career, appearing at many of the major opera houses in Europe and America. He made more than 200 recordings of his beautiful voice, some made as early as 1902. Caruso was born in Via San Giovanello agli Ottocalli in Naples and baptised the next day in the nearby church of San Giovanni e Paolo. At the age of 11 he was apprenticed to a mechanical engineer and also worked alongside his father in a factory. At the same time he was singing in his church choir and was told his voice showed enough promise for him to consider becoming a professional singer. Until she died in 1888, he was encouraged by his mother. To earn money, he started to work as a street singer in Naples, progressing to singing Neapolitan songs as entertainment in cafes. Having decided to become an opera singer, Caruso took singing lessons, keeping up with them even during his compulsory military service. He made his stage debut in 1895 at the Teatro Nuovo in Naples in Domenico Morelli’s L’amico Francesco, having been recommended by a musician who had heard him sing. Caruso went on to perform at other theatres throughout Italy and was given a contract to sing at the prestigious Teatro alla Scala in Milan in 1900. On his debut on December 26 of that year, he sang Rodolfo from Puccini’s La Bohème, conducted by Arturo Toscanini. The following year he appeared in Monte Carlo, Warsaw, Buenos Aires and before the Tsar of Russia in St Petersburg. Caruso took part in a grand concert at La Scala organised by Toscanini in 1901 to mark the death of Giuseppe Verdi. A month later he was engaged to make his first group of recordings for a gramophone company using a hotel room in Milan. The recordings quickly became bestsellers and Caruso’s fame spread. He travelled to New York in 1903 to take up a contract with the Metroplitan Opera, making his debut in Verdi's Rigoletto in November. A few months later Caruso began his association with the Victor Talking Machine Company. 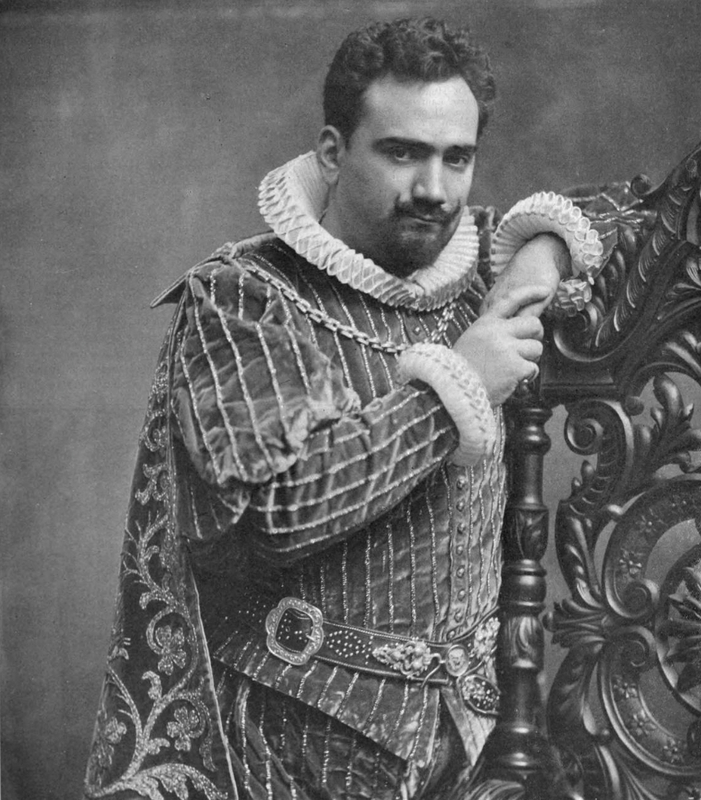 His 1904 recording of Vesti la giubba, the moving aria from Ruggero Leoncavallo's opera Pagliacci was the first recording ever to sell a million copies. He made 863 appearances at the Met, attracting a substantial following from among New York’s Italian immigrants. He continued to release recordings until close to his death in 1921. Caruso’s voice extended up to high D-flat in its prime and grew in power and weight as he became older. His singing can still be enjoyed by people today as his original recordings have been remastered and issued as CDs and digital downloads. The singer’s health began to deteriorate in 1920 and he returned to Naples to recuperate. He was planning to go to a clinic in Rome in August 1921, and was staying overnight at the Albergo Vesuvio in Naples on the way, when his condition worsened and he died, aged 48. The King of Italy, Victor Emmanuel III, opened the Royal Basilica of San Francesco di Paola, for his funeral, which was attended by thousands of people. 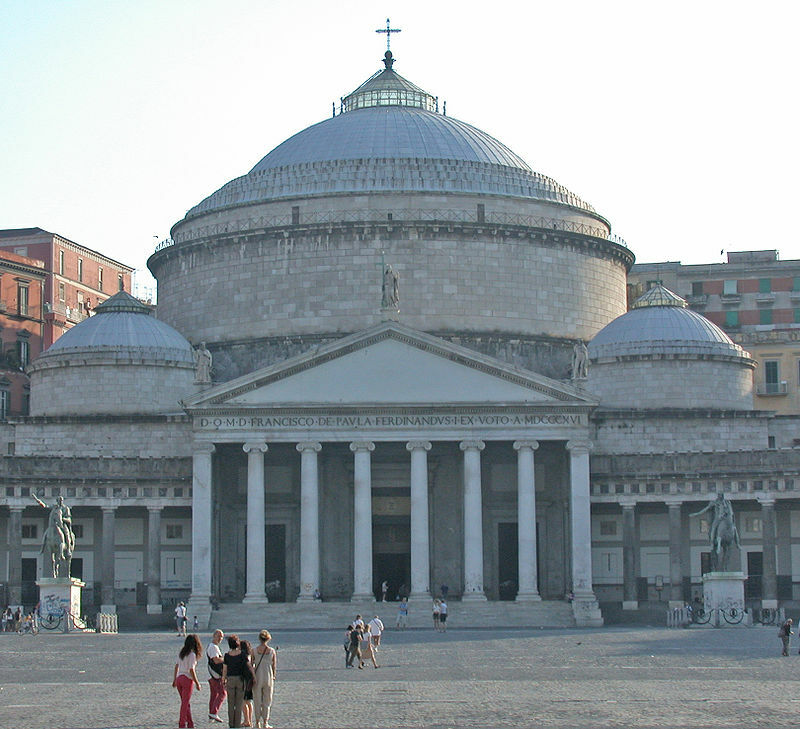 The Basilica of San Francesco di Paola is on the west side of Piazza del Plebiscito, the main square in Naples . 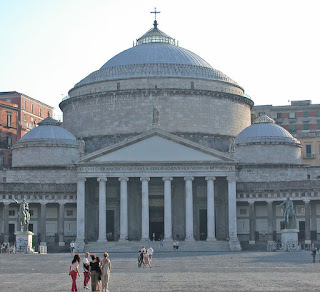 Originally the building had been planned as a tribute to Napoleon but after the Bourbons were restored to the throne of Naples, Ferdinand I made it into a church and dedicated it to San Francesco di Paola. It is similar in design to the Pantheon in Rome with a portico resting on columns and a high dome in the middle. Caruso’s body was taken through the streets of Naples in a horse-drawn hearse and he lay in state before his funeral so that people could pay their respects. 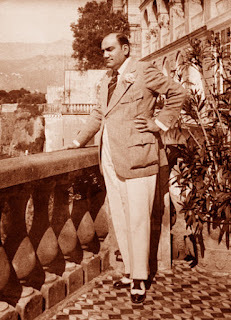 Caruso loved the resort of Sorrento and his stay at the Grand Hotel Excelsior Vittoria in July 1921 is recognised by a plaque at the entrance gate to the hotel, which is just off Piazza Tasso, the main square in Sorrento. 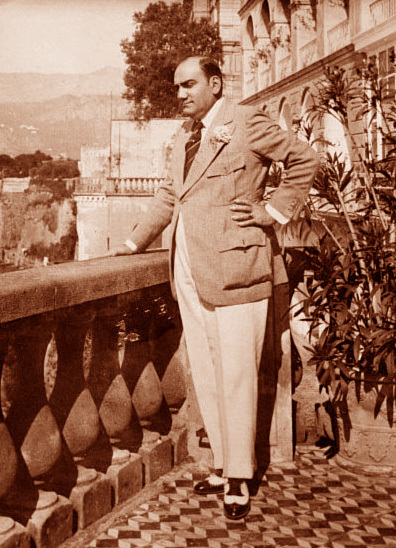 The photograph of Caruso in front of the view from the Excelsior Vittoria’s terrace was one of the last images taken of the tenor. The hotel later furnished Suite Caruso with the piano and writing desk used by the opera singer during his visit. The suite inspired the song ‘Caruso’ to be written by Italian pop singer Lucio Dalla in the late 1980s while he was staying at the Excelsior Vittoria.